Meg's Food! 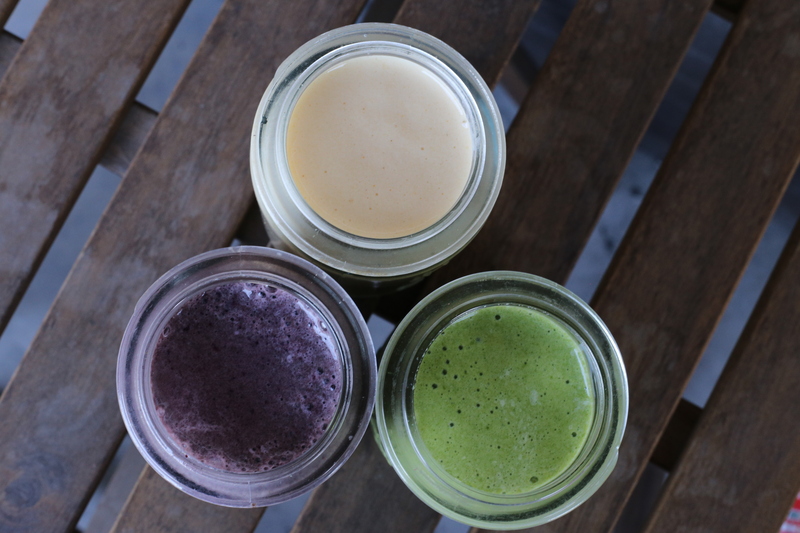 | My Favourite Smoothie, Three Ways - Meg's Food! Ah January, the month where we all try to eat healthier, work out more, spend less money, start a new hobby, etc etc etc. I’m not actually one for new years resolutions. I like to set goals throughout the year, and I’m always trying to eat healthier. But let’s face it, we all go a bit overboard on the sweets in December. Even at work I can’t escape the plates of cookies and chocolates that families bring nurses at Christmas. So in January, I’m all about taking it back to healthy basics. I have a smoothie for breakfast almost every morning. 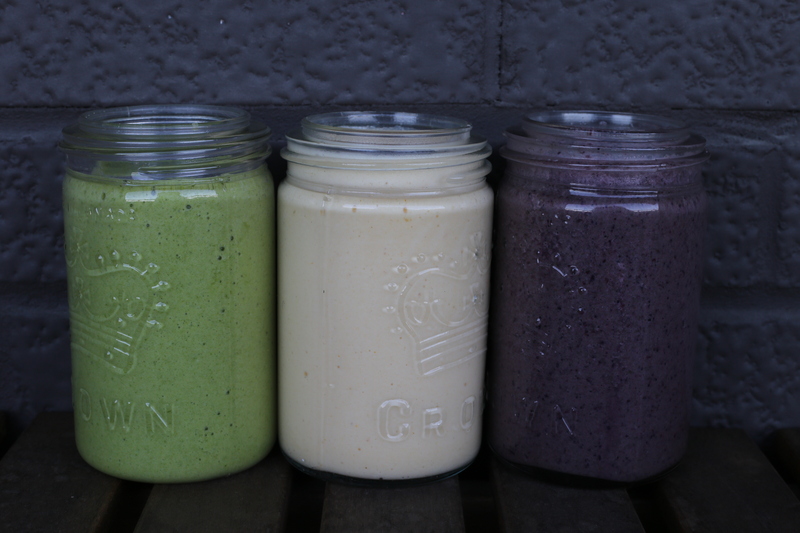 Since I usually run in the mornings before eating, a smoothie acts as both my breakfast and my recovery meal. 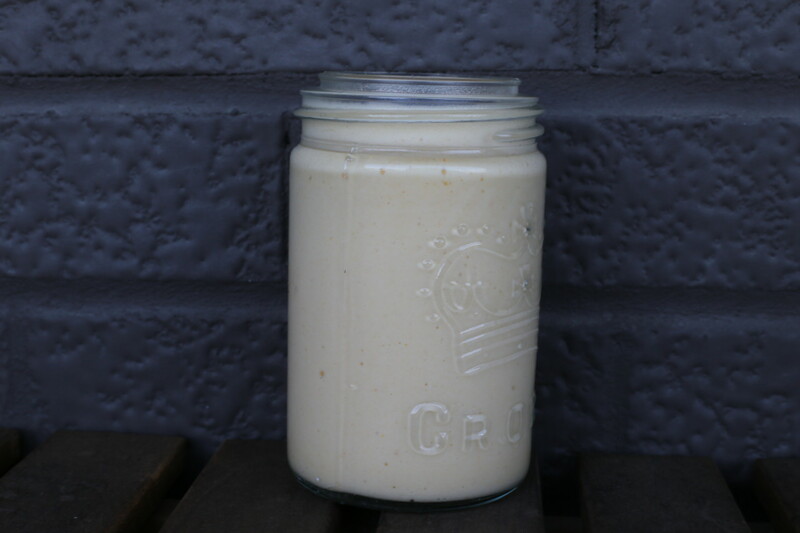 I love my basic smoothie recipe – full of fruit, leafy greens, protein, and so much flavour. I use frozen fruit for a few reasons – frozen fruit is picked and cut when ripe, ensuring it still tastes great and preserving vital nutrients, plus it’s much more budget-friendly to buy frozen fruit in the dead of winter. I love protein powder but you don’t need to use it. I like adding it to smoothies because it makes them just a bit sweeter, but also turns a snack into a meal. If you’re looking for a great tasting, non-gritty vegan protein powder I love Bob’s Red Mill Vegan Vanilla Protein. Here are my three favourite variations! 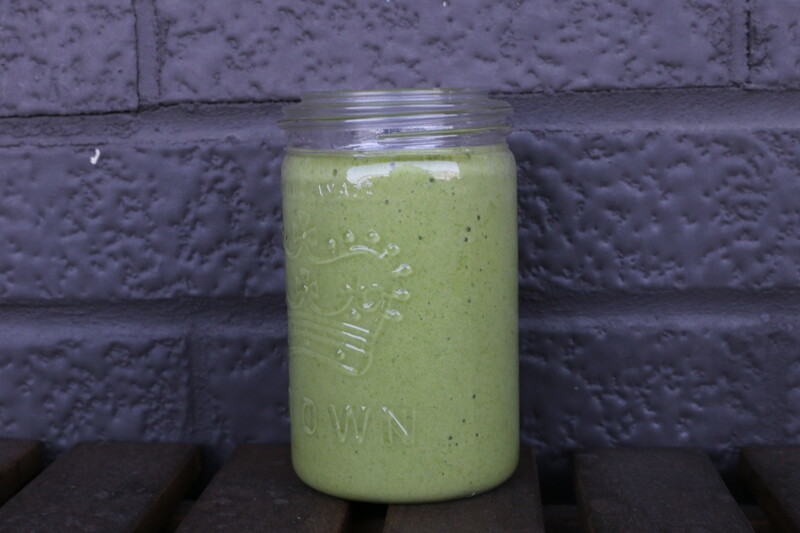 This one has tons of spinach, plus mangos, pineapple, coconut milk, and lots of protein. Yum! 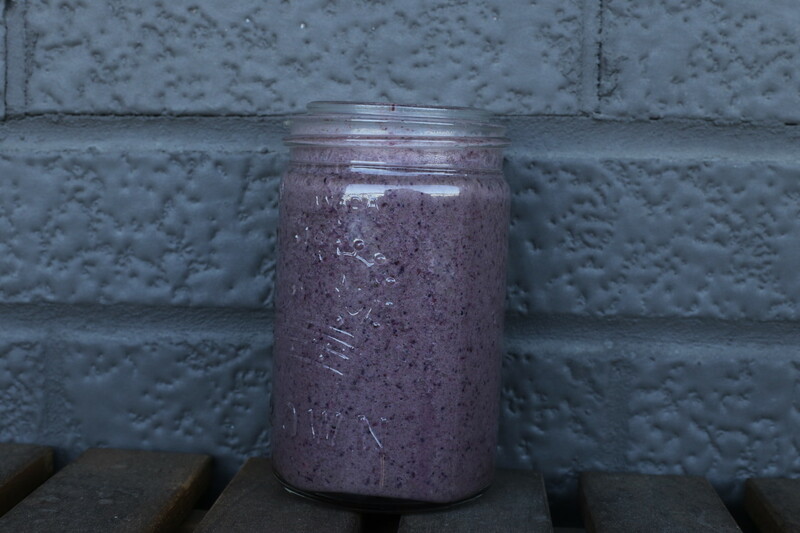 Kale, cherries, blueberries, and pomegranate juice make this dark purple smoothie chock full of antioxidants! If you’re super busy in the morning and need a super quick, healthy breakfast, you can make smoothies ahead of time. Freeze them rather than storing in the fridge where they might separate. Then defrost on the way to work and you’ve got a frosty, healthy breakfast ready when you arrive! This entry was posted in Breakfast and tagged ginger, kale, mango, protein, smoothie, spinach, superfood, turmeric, vegan. Bookmark the permalink.